The Amazon Alexa platform dominated CES this year. The virtual assistant is shaping up to be the most important new operating system. A few years ago, chatbots were supposed to take over as a leading way to interact with the internet. They would live on our phones and in our messaging apps. Whenever we needed anything, all we had to do was type out a question. Things are turning out ... differently. Chatbots, bots, virtual assistants and agents are all about the conversational UI — about interacting with a computer through natural-language words and sentences. The conventional wisdom used to be that the chatbot revolution would be driven by pre-emption, interjection and agency, as exemplified by Facebook M and Google Now. Instead, the killer features are hands-free voice interaction and ubiquity — the main strengths of the Amazon Alexa platform. Here’s what happened and why it matters. Facebook plans to close it’s M chatbot service on Jan. 19. Facebook M, which launched in August 2015, was experimental, available to only 10,000 people in Silicon Valley. When M first emerged, it was widely assumed to represent the future of how chatbots should and would work. M was a chatbot-based virtual assistant with agency, meaning it could buy things on your behalf, send gifts and book reservations. While initially shrouded in mystery and confusion, the purpose of M has now become clear. Facebook wanted to see how people might naturally use a somewhat open-ended virtual assistant chatbot. Facebook would try to serve those requests using a staff of humans, who would also train the A.I. so that over time the machines could take over from the people, resulting eventually in an automated service. Facebook now knows what it didn’t know at the outset, which is that the state of A.I. is not ready to learn to become an all-purpose chatbot agent capable of going out into the world and doing things for a large number of people. It’s not a surprise that the same day this week that we learned of the demise of Facebook M, we also learned that Facebook is reportedly coming out with an Amazon Echo Show-like device for consumers called the Facebook Portal, according to a publication called Cheddar. The company plans a May introduction of the device (at Facebook’s developer conference), with a rollout at $499 in the second half of the year, according to the report. The Portal device is said to have a camera, and it will authenticate users based on face-recognition technology. A few years ago, the conventional wisdom in tech circles was that Google Now was the most sophisticated virtual assistant. Google Now was introduced in Android in the summer of 2012. The best thing about Google Now was pre-emption: Display cards would pop up to alert you to things (rather than waiting for you to ask). Google Now used your location, calendar and, above all, Gmail messages to figure out what kind of help you needed, and it would try to give you that help with suggestion cards. One of its best tricks was to see on your calendar where you were going, check your current location, check the traffic between those locations, and give you advice about when to leave. The Google Now feature still exists in the Google mobile app and elsewhere. But the “Google Now” branding does not. Those features are now considered a subset of Google Search, while Google focuses on its Assistant chatbot. Meanwhile, the coolest feature of Google Assistant is interjection, which means it will pay attention to conversations in Allo and make suggestions based on the conversation. Unfortunately, hardly anyone uses Allo, and so the amazing interjection powers of the Google Assistant are largely unknown and generally unused by the larger public. That means Google’s two greatest and differentiating chatbot strengths — preemption and interjection — remain underutilized, underappreciated and underwhelming. Just as Facebook killed M and is launching an Amazon Echo-like device, Google is putting most of its energy in Assistant as the intelligence behind its own Amazon Echo-like Home devices. 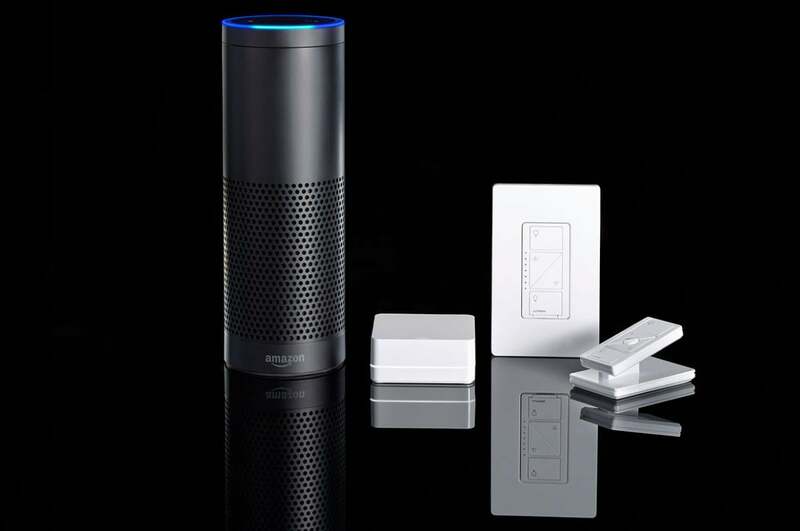 The common denominator is the Amazon Echo and its Alexa virtual assistant. While agency, including the ability to buy things, was once assumed to be an important feature of a virtual assistant, it’s clear even for Alexa that buying things is secondary. According to an Experian study last year, fewer than one-third of surveyed Echo owners have ever bought something through Alexa. The vast majority of tasks involve setting a timer, playing a song, reading the news, checking the time — really, the most basic functions of a smartphone made convenient by voice interaction. And yet Amazon is clearly dominating the space. This week’s CES showed that the industry is following Amazon’s lead. Alexa appeared at the show inside projectors, ceiling lights, cars, glasses, showers, washing machines, earbuds, speakers — and even Windows 10 PCs. The Alexa formula implies that it’s not necessary that a virtual assistant or chatbot does everything, or that it beats competitors on a technical level. What’s important is that it is available instantly everywhere. Amazon CEO Jeff Bezos this week became the world’s richest person, according to the Forbes list. Over the past few decades, that spot was normally occupied by former Microsoft CEO Bill Gates. The symbolism is timely; it was at CES this week that Amazon became the new Microsoft. Microsoft rose to dominance by controlling the operating system that the majority of people and businesses used. Amazon is now doing something similar with Alexa. While Alexa isn’t even close to becoming as important as Windows, it is becoming the operating system of the post-PC, post-smartphone future. Dolnick was referring to audio podcasting, but the same truth applies to virtual assistants. While today we do our work on laptops and smartphones, in the future we’ll do much more work via virtual assistants (and augmented reality). By the time that happens, Amazon will already own the operating system.